[dropcap]S[/dropcap]aying monolithic flash drive to most data recovery shops will make them cringe. Why? There is no standard interface for reading the flash memory chip inside. 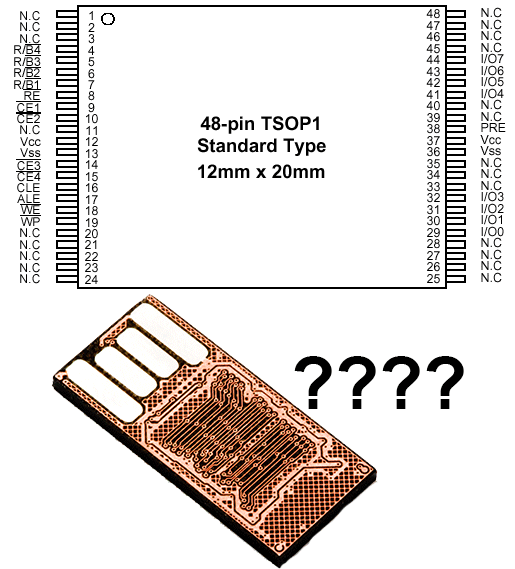 A traditional flash drive will have a TSOP48 or maybe a LGA-52 chip flash memory chip with known signals that can be read. 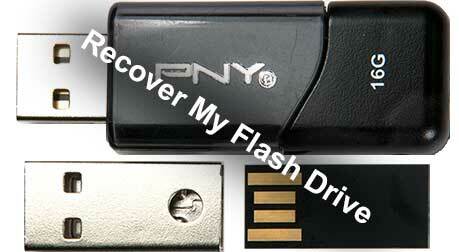 To most data recovery companies without special equipment monolithic flash drives aren’t recoverable. The margins on USB flash drives are dropping and we’re seeing many top tier UFD manufactures switching to grey market factory reject NAND (flash memory) or going monolithic. I think monolithic flash drives will become the standard technology in the price wars . Visit NewEgg and look up flash drive pricing, you can clearly see the price break between monolithic and non-monolithic flash drives. Take a look at this video from 2009, it shows Kingston’s USB manufacturing plant. Very cool video, but you can eliminate an entire floor of multi-million dollar equipment and many employees by simply using monolithic flash drives. Why stop there, at that point you can outsource the production and I think that’s what we’re starting to see. The casing on most “traditional” flash drives snaps together, newer monolithic’s from PNY and Kingston keep their old case design but appear to be injection molded together with a fake USB connector and monolithic USB flash drive inside. We’re seeing monolithic flash drives everywhere from rubber water proof casings to thin key chain designs. Monolithic flash drives have the same dimensions and are easily swappable between capacities and brands. Simply ask your NAND vendor who has the cheapest 32GB monolithic today, you no longer need to retool for different NAND technologies, controllers, etc. From the OEM’s standpoint it’s a uniform size that can be fit into whatever case you choose to use. PNY Monolithic, you can see how there is no support for the monolithic UFD at the USB connector and how its slightly bent. In the data recovery industry many companies don’t acknowledge monolithic devices because it’s a new technology. Units sold there are more non-monolithic flash drives out on the market than monolithic however I see this changing quickly. I predict in the near future monolithic cases will equal if not exceed non-monolithic cases seen by DR shops. Monolithic flash drives are very sensitive to bending and pressure. Many early (and current) monolithic designs don’t provide any ridged support for the monolithic flash drive which causes the UFD to snap at the USB connector. With space at a premium monolithic UFD’s typically have very little “protection” circuitry for over-voltage conditions. The flip side to that is if it’s not serviceable what difference does it make. We’ve seen manufactures use thin wire as a “fuse” inside monolithic’s. Whereas most data recovery companies see monolithic devices as an unserviceable dead end I see opportunity. If the cost of monolithic recovery in capital expenditures, R&D and labor can be deferred I think we can bring the cost of monolithic recovery down to a reasonable price point. Food for thought, in the coming months we’re going to try some ideas and see if any stick.